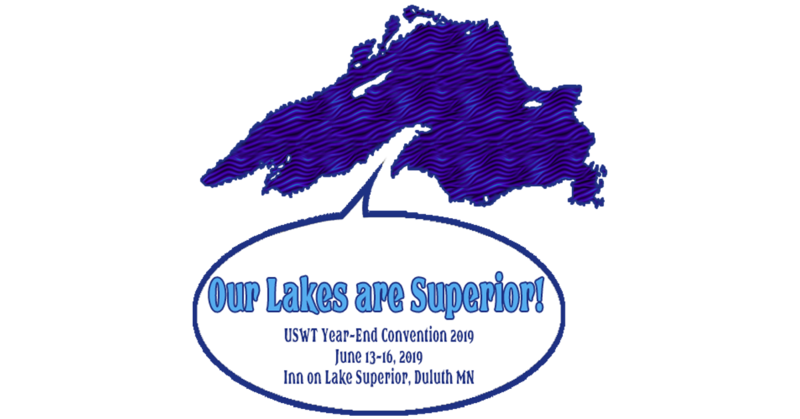 The USWT Year-End 2019 Convention is hosted by our very own Duluth WT chapter. It will be held June 13-16, 2019, at the Inn on Lake Superior in Duluth. You may register online at or print registration, complete it and mail to Cindy Sanders, 4111 Emerson Road, Duluth, MN 55803. If you have any questions, contact Cindy at cindy.sanders@gmail.com or 612-816-8378.